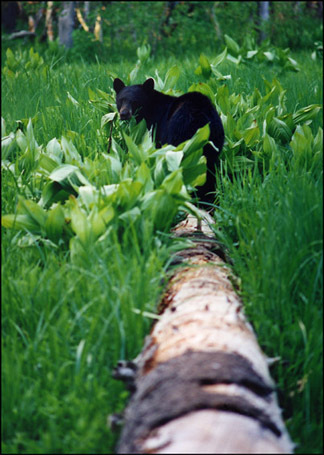 A black bear, on my log! Hey! Get off of my log you silly bear, I was here first! Hee, hee, I am lucky (s)he didn't want to argue the point! � This is Log Meadow, in the Giant Forest. A very nice place to be.